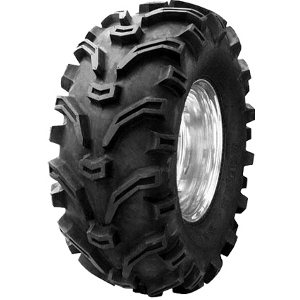 * Aggressive tread design provides beefy hook up packed into one of the meanest tires available. * Angled knobs dig into the terrain for maximum traction while center lugs provides extra traction and better control. * Compounded with a special tear and snag resistant material that extends the tread life and also protects the tire against punctures from sharp objects. * Built rim guard protects your wheel from dings and dents while also preventing dirt from wedging between the tire and rim.